The European Investment Bank has approved a load request of €52,5 million from Northvolt. The demonstration plant is seen as a key step towards the establishment of Northvolt’s giga-factory for li-ion batteries in Skellefteå, northern Sweden. When up and running, the Skellefteå plant has a target of producing 32 GWh worth battery capacity annually. In comparison, Tesla’s giga-factory currently under construction in the state of Nevada is planned for a capacity of 150 GWh annually of battery packs. Construction costs for the plant in Skellefteå is estimated to be over €4 billion. Worldwide electric car stock surpassed two million vehicles in 2016 after crossing the one million threshold in 2015. Sales are growing fast and customer waiting lists get longer. In Norway, where the state has introduced a number of impactful incentives making electric cars competitive, 21% of all sales were fully electric in 2017. Supply is, however, a big challenge. If you order a new VW eGolf today, you will likely not get it before the end of the year. Demand is bigger than supply. More than 130,000 battery cars are already on the roads in Norway, not bad for a country with slightly more than five million inhabitants. Transition to electric vehicles continues. The government aims at a 2025 goal when petrol cars will no longer be sold in the country. 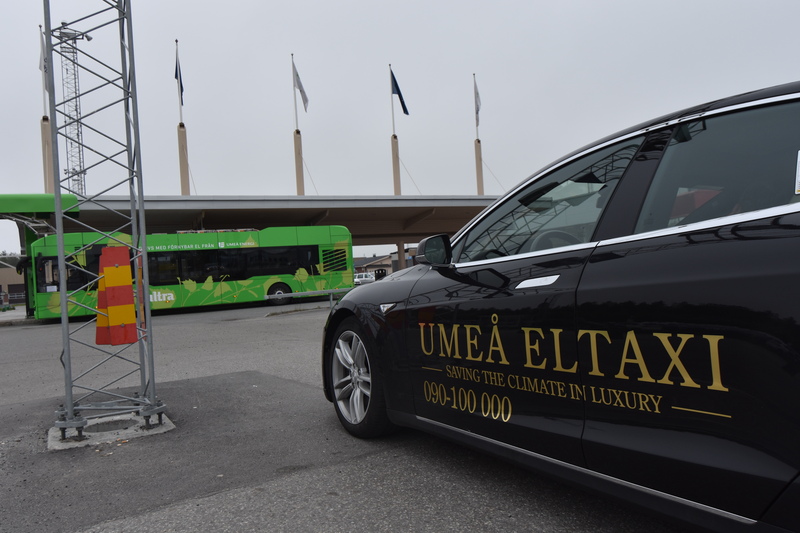 Additional to electric cars, Scandinavia leads the way for a zero emission transport sector. Electric busses are on the roads in Umeå, a hybrid electric fishing vessel sails in Troms, electric ferries are trafficking on Norway’s west coast, a huge factory for electric car batteries are to be built in Skellefteå and even the first hybrid electric cruise shipswill nest year bring the first passengers to Arctic waters. Even electric snowmobiles are in the pipe from a factory in Rovaniemi. Now, aviation authorities says all short-haul airliners in Norway should be electric by 2040.